Mr. Parnham has a successful track-record of developing exploration companies from start-up to fully permitted projects with considerable resources and reserves. This experience includes working internationally with governments and landowners to identify high-impact and underdeveloped projects, and providing the capital and managerial resources necessary to create shareholder value. Mr. Parnham has founded and developed multiple resource focussed companies, including Forsys Metals Corp., UNX Energy Corp., Angus Mining Namibia Inc., and Temex Resources Corp. Mr. Parnham also has considerable experience in corporate governance, stakeholder relations and raised capital providing a high rate of success in realizing shareholder value. Mr. Middleton is a renowned geologist and geophysicist with more than 45 years of experience. Mr. Middleton completed his B.Sc. and M.Sc. degrees in applied geophysics at the Michigan Technological University. Of particular interest to Canoe Mining, Mr. Middleton spent a majority of his career working in the Timmins gold camp where as an officer and director of Rosario Resources Corporation he founded the Bell Creek mine, a major gold deposit. Rosario also at the time placed the Pueblo Viego located in the Dominican Republic into production, now controlled by Barrick Gold. He has worked with major mining companies including Newmont Exploration of Canada as well as multiple junior companies as a consultant and member of the management team. This includes experience with Canplats Resources Corp. that was recently sold to Goldcorp Inc. Mr. Middleton has led numerous drill programs resulting in major discoveries, completed multiple feasibility studies, and worked on international assignments spanning North America, Central America, South America, Africa, Asia, and Europe. Mr. Baard is an operationally oriented Finance Executive with extensive experience in Logistics, Contact Mining, finance, administration and public company accounting in diverse industries. Strategic leader with proven ability to streamline operations, impact business growth, and enhance profitability through achievements in finance management, cost and internal controls, productivity and efficiency improvements. A CPA (CGA converted) / FCCA who brings business, financial and analytical acumen to resolve complex problems creatively. 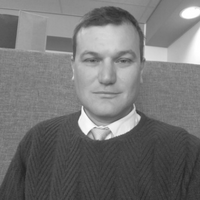 Mr. Baard has an Honors Degree in Accounting from the University of South Africa. Mr. Estepa joined C Level II Inc. as an independent director in May 2013, bringing with him over 19 years of experience with publicly listed companies in the areas of corporate management, development and investor relations. Mr. Estepa has and continues to serve as a senior officer and/or director of several publicly traded resource companies. Mr. Estepa holds a Bachelor of Arts degree from the University of Toronto. Mr. Kelly is the president of a private strategic advisory consulting firm, Cabrana Capital Advisors Inc., focused on emerging market resources. Mr. Kelly most recently served as senior vice-president of TMX Equicom where he guided strategic communications for numerous companies. Mr. Kelly is a trusted adviser to chief executive officers and management teams, and has over 15 years experience maximizing awareness for public companies in a variety of industries. Mr. Kelly has direct experience serving as an independent director on public and private company boards, and prior to its acquisition by the TMX Group, Mr. Kelly was a partner, director and senior vice-president of the Equicom Group Inc., Canada's largest and most successful investor relations firm. Prior to joining Equicom, Mr. Kelly founded Biocom Inc., a strategic communications firm purchased by Equicom in 2003. Mr. Kelly holds a degree from Queen's University and postgraduate certifications from the Canadian Institute of Advertising and the University of Toronto.